From Sitecore 6.5, Sitecore is deprecating the old Lucene search method. This simply means that you can no longer use the current, built in Lucene search, but has to use a new built in Lucene search. There are many good reasons to use the new way of indexing, but it also requires you to redo some of your previous work. The old way of indexing was easy to setup and easy to use. The new way is more complex because it lets you do more advanced stuff. I have always felt that open source modules are the best way of implementing other developers unsolvable bugs. But I have tried this module, and it works. I will now show you how to set up the module, and in 2 later posts, I will show you how to perform the 2 basic tasks that you do with an index: How to get the latest news, and how to get all items with a certain set of metadata categories. The new indexing applies to newer versions of Sitecore. Sitecore 6.2 revision 5 should do it, but from 6.4 and forward you are certain that it will work. The Sitecore.SharedSource.SearchDemo.dll is not needed in production, but it implements some test pages (found in /sitecore modules/Web/searchdemo) that you can use to test your index. Copy the DLL’s to your Sitecore /bin/ folder and you are ready to go. Copy the /sitecore modules/Web/searchdemo items to test your index with Alex’s samples. Now you need to set up an index. I will show you how to set up an index that crawls the WEB database, as I’m going to use the index for frontend indexing. The /sitecore/databases/database items creates a HistoryEngine on the WEB database. This is needed for indexing at all. No HistoryEngine, no index. The /sitecore/search/configuration/indexes/index is the actual index. This is taken straight from Alex Shyba’s own examples and defines an index called “web” that contains everything (all items, all fields) from the WEB database. Read more about setting up indexes here. In the following posts I will demonstrate how to get the latest news, and how to get all items with a certain set of metadata categories. This entry was posted in c#, Sitecore 6 and tagged AdvancedDatabaseCrawler, index, Lucene, Sitecore. Bookmark the permalink. natash ajaz, were you able to resolve the “constructor is not there” problem? Both Numeric Range and Date Ragne class’s in AdvancedDatabaseCrawler are using RangeQuery which is built-in Lucene.net class. The problem might not be the query that you are building. It could be that the values are not getting indexed properly. Hi, Yes I have resolved my problems,Actually with NumericRange search AdvancedDatabaseCrawler doing some manipulations with provided number that’s why I was not able to find to search result,Now its working for me.Thank you. Hi,Numeric range with AdvancedDatabaseCrawler is working fine,but i found that sometime it shows irrelevant results.like if my price range between 1 to 2 , then Crawler find for price having number 1 and 2 but I want the products between 1 to 2 range only.Do you have any suggestions for such type of implementations so that i get proper result between defined range? Can anyone help us in numeric range Issue,its urgent. The problem with AdvancedDatabaseCrawler is that it stores everything in a field called _content in fact it creates multiple fields with the same name so when you search for something then it also finds it everything else. You need to fix this problem in protected override void AddAllFields method in AdvancedDatabaseCrawler and add your own lucene field and ask for the field when you search. I am not happy with AdvancedDatabaseCrawler and in fact I am not even happy with Sitecore class DatabaseCrawler that the AdvancedDatabaseCrawler inherits from. Actually I want to search numeric range using lucene.If I provide Price range like $1 to $5 it should give me a result as products that are in the defined price range.I worked for numeric range using lucene.Lucene is able to search for range but I found that it shows me an irrelevant output. Like in my scenario if I want to search products between price range 1 and 5,then lucene shows me product having price like 11.30,It may be because of ,Lucene search string would look like “price:[1 to 5]”.Critically, this would actually match a record with value “11.30”. It looks like the first character in “11.30” is ‘1’, and that’s between the ‘1’ and ‘5’,so the whole string “11.30” is between “1” and “5”. I want lucene should search for products that having price in between 1 and 5 not 11.30. Have you thoroughly gone through my problem? Actually I know , where is the problem and what is the problem but I want to know the approach to solve the problem.Anyways I my able to solve my problems.Thank you very much.And Obviously , When I am using range query then I have to pass field Name and suggestions that u have given , I already did that.Thank you. 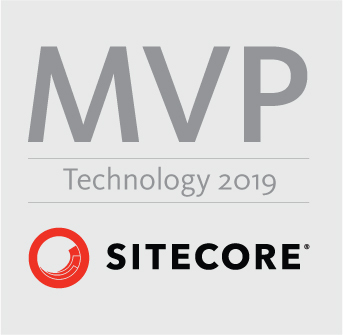 Will this work with sitecore 6.6, .NET 4 and MVC 4? I downloaded the source code from [http://trac.sitecore.net/AdvancedDatabaseCrawler/browser/Branches/v2/] but when I open the source code the namespace is scSearchContrib.Searcher, scSearchContrib.Searcher.Parameters etc. In the demo video and your comment above the namespace is Sitecore.SharedSource.Searcher, basically the namespace starts with Sitecore.SharedSource in the video. Is there a different download location? The source code has been moved to the Sitecore Marketplace, http://marketplace.sitecore.net/en/Modules/Search_Contrib.aspx where you can find a link to GitHub https://github.com/sitecorian/SitecoreSearchContrib from where you can download the latest. You should contact the contributor Alex Shyba (http://profile.sitecore.net/Profile.aspx?userId=PepQhVftadcxkB7%2f1N9H2Am-Q1NYkAQxrzweORlBhzY%3d) for more information on it’s compatibility with Sitecore 6.6. Please forgive my ignorance but what does the 30.00:00:00 tag and value do exactly? I am getting the following issue when i try to rebuild the index.Can you please help me to resolve this issue? I have copied the necessary DLLs and Added the config entry.What could be the reason for this issue? Could not resolve type name: Sitecore.SharedSource.SearchCrawler.Crawlers.AdvancedDatabaseCrawler,Sitecore.SharedSource.SearchCrawler (method: Sitecore.Configuration.Factory.CreateFromTypeName(XmlNode configNode, String parameters, Boolean assert)).